We already passed Pluto, why not go farther? Operators of the New Horizons spacecraft—the mission that gave us the image of Pluto’s heart last year (and captured hearts the world over)—want to take the mission farther…if NASA will approve it. 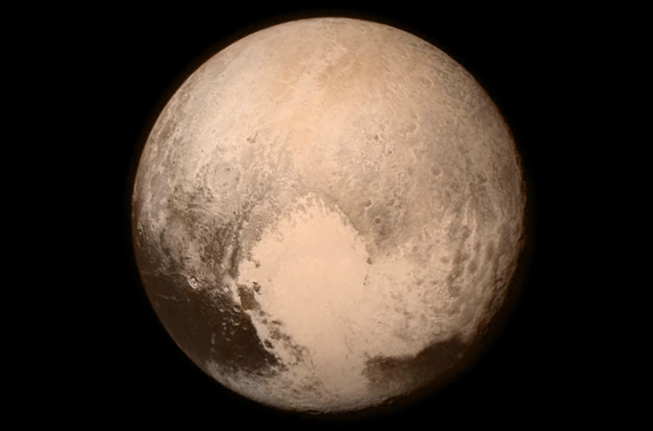 Of course, most adored Pluto before the heart, but now, the team is looking to go even farther. The New Horizons team wants an extension of the mission because, otherwise, the spacecraft will have to be decommissioned, set adrift in the cosmos with no clear goal or trajectory. The team’s formal proposal to NASA early this year outlined a maneuver for a flyby close to 2014 MU69, a Kuiper Belt Object that is, as Stern intimated, roughly 1 billion miles (1.6 billion kilometers) beyond Pluto. So, fingers crossed, but things are looking pretty optimistic. The Mystery of Pluto’s “Floating Hills” Solved: They’re Icebergs!